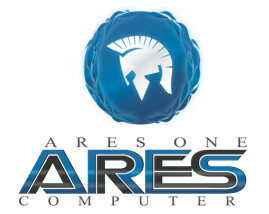 AEROS is a hybrid distribution of AROS (www.aros.org) and Linux (in the moment debian 6.0 for X86 and 8.0 for ARM is used) available for ARM and x86 systems. 3. Donate at least 15 US € to any AROS related bounty on www.power2people.org or prove that you did already. If you donate 5€ or more /month you will get also a Pro-account for AmiCloud which means 25GB traffic free storage. Everyone else need to wait for the release of outdated versions to the public. Visit the OLD_Versions subpage for them. AROS is a wonderful OS (an opensource reimplementation of the classic Amiga OS). This means it is fast, and not only because of the small footprint it is very fast. Many times faster than Linux with all its „lightweight“ desktops. But why running one OS hosted on another? Doesn’t it slow down? No! 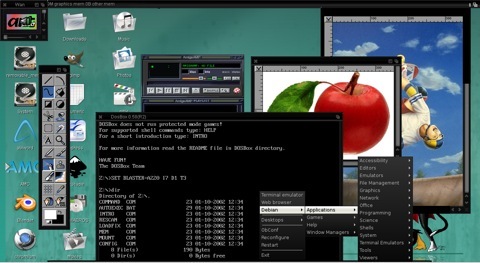 AROS hosted (here in form of AROS Broadway) uses less resources than any desktop manager for linux offering the same functionality. So in fact it is faster. Especially on slow ARM systems AROS hosted will blow your mind. - AROS apps can utilize Linux tools to enhance there own functionalitiy. - Single AROS processes can be forced to run on a single core. - Allows you to run AROS apps and games too, most of them come from Amiga and have a low footprint. You will like how fast they are. Also I would like to bundle an enhanced Version of AEROS including Aminux (Classic AmigaOS on top of Linux) with AmigaForever and AMC 2012.